I was busy yesterday, running around Missouri delivering flyers for next month’s gun rally (see yesterday’s post.) My travels gave me ample opportunity to listen to the radio, mostly Rush and Hannity, but a few others, too. The topic yesterday was Netanyahu’s big win in the Israeli elections—and Obama’s reaction. You see, Obama sent teams to Israel, teams paid for by US tax dollars, to defeat Netanyahu. They failed. 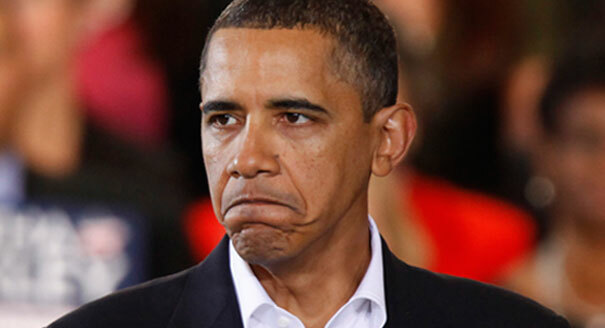 This, of course, enraged Obama. Obama, has congratulated numerous election winners around the world. Many, most maybe, were dictators or our avowed enemies. Obama did not congratulate Bibi Netanyahu. Instead, he is pursuing a path to harm Israel. After years of blocking U.N. efforts to pressure Israelis and Palestinians into accepting a lasting two-state solution, the United States is edging closer toward supporting a U.N. Security Council resolution that would call for the resumption of political talks to conclude a final peace settlement, according to Western diplomats. The move follows Israeli Prime Minister Benjamin Netanyahu’s decisive re-election Tuesday after the incumbent publicly abandoned his commitment to negotiate a Palestinian state — the basis of more than 20 years of U.S. diplomatic efforts — and promised to continue the construction of settlements on occupied territory. The development also reflects deepening pessimism over the prospect of U.S.-brokered negotiations delivering peace between Israelis and Palestinians. Shortly before this week’s election, the United States informed its diplomatic partners that it would hold off any moves in the U.N. Security Council designed to put Israel on the spot at the United Nations in the event that Netanyahu’s challenger, Isaac Herzog, won the election. But U.S. officials signaled a willingness to consider a U.N. resolution in the event that Netanyahu was re-elected and formed a coalition government opposed to peace talks. The United States has not yet circulated a draft, but diplomats say Washington has set some red lines and is unwilling to agree to set a fixed deadline for political talks to conclude. “The more the new government veers to the right the more likely you will see something in New York,” said a Western diplomat. Nothing is so spiteful as a narcissist scorned. Obama is showing his true nature. I can understand why Obama hates Netanyahu. Bibi is everything Obama is not. When Netanyahu last spoke before Congress, he received a warmer welcome than Obama did at his State of the Union speech. In less than an hour Bibi Netanyahu will speak before a joint session of Congress—at the invitation of Congress much to the chagrin of the democrats. 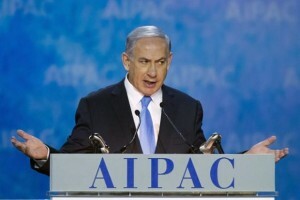 He spoke yesterday before AIPAC, the American Israel Public Affairs Committee, laying the groundwork for today’s speech. I’m keeping an ear on CSPAN. Mrs. Crucis is watching upstairs. John Kerry’s State Department is twitting passages from a radical Islamic cleric protesting Netanyahu. The cleric blames ‘Zionists’ for all the world’s ills. I’m not surprised that Obama and his minions are siding the Islamists. All you need to do is read articles by the administration, listen to them on TV and on internet videos, listen to them being interviewed by the MSM. They’re all in bed with the Islamists. This isn’t something Obama brought to government. Look at the remarks of Jimmah Cahtah and others over the years. They were, are, all siding with not only Islamists, but radical, America-hating Islamists. Frankly, I don’t know why they support those who kill and plan to kill us. It’s psychotic. It could be they hate America, perhaps they are anti-Semitic, or, more likely, both. Regardless, Bibi will have his time before Congress concerning Obama’s efforts to allow Iran to build nuclear weapons. Bibi will warn Congress, again, and will say, I expect, that Israel reserves the right to strike in self-defense. When Iran and the Islamists say they will destroy Israel and kill all the Jews, we should take them at their words—and act accordingly. But, the US will dither, blame Israel and inevitably, at some point, nukes will fly. Maybe today is the day Israel will announce they have nukes of their own. Seven nations, eight if the Norks finally make one that works, are known to have nuclear weapons. It is likely several more have them as well including Israel. Various intelligence agencies estimate that Israel has approximately 300 nukes of various sizes. South Africa had some but disassembled them, so they say, as did the former USSR republics of Belarus, Kazakhstan, Ukraine. Then there is Japan, South Korea and Taiwan that have the capability of building nukes but haven’t as far as we know. In South America, both Brazil and Argentina have been thought at various times to be building nukes. Bibi will have his day before Congress, less those democrats who hate Israel. He will be eloquent and explain his position and ask the US to assist Israel in blocking Iran’s nuclear infrastructure to build a weapon. He will not succeed. The US will do nothing to assist Israel and everything to help the Islamists and our internal divide will deepen and broaden.